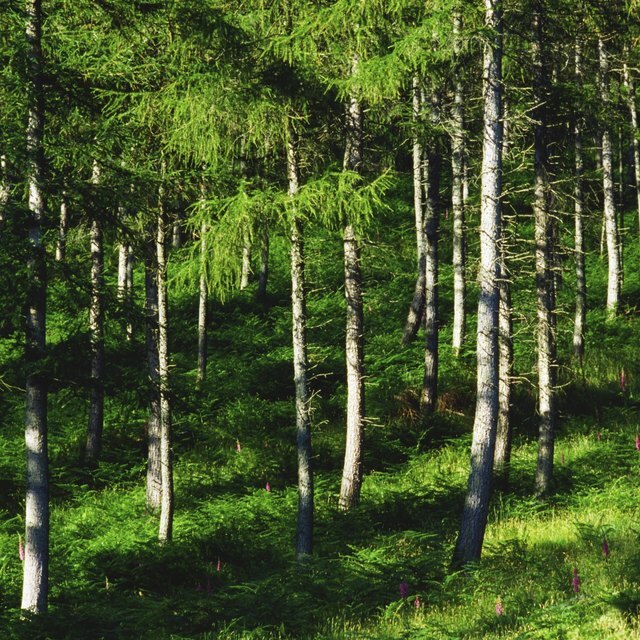 Pine trees, also known as “conifers,” have cones instead of flowers. These cones serve as a pine tree’s source of seed. Conifers also produce separate male and female cones for seed development. In general, the development of a pine cone takes around two years and fertilization happens in the spring. Both male and female cones start like tiny pink-lilac bristles.They turn green as they develop, but their scales stay tucked together until maturity. 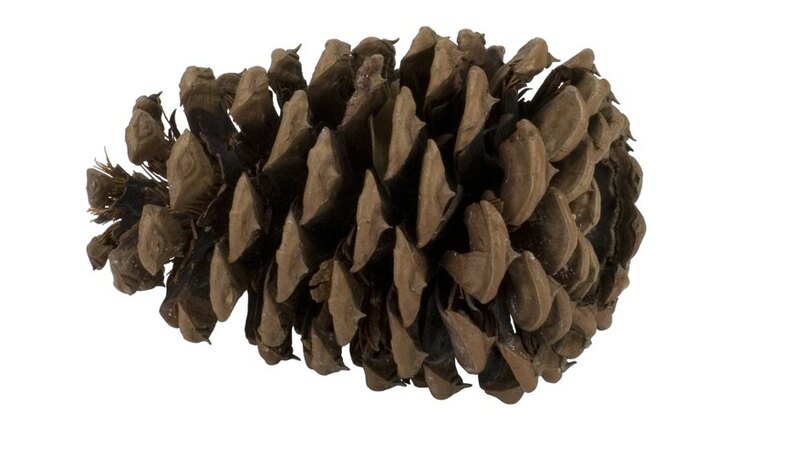 When fully mature, female cones look like typical pine cones, with hard brown woody scales spread apart. They form at the foot of new shoots below the terminal bud and take about two years to mature and produce seeds. Each female pine cone has about 200 seeds, depending on the pine's species. The male cones, also known as “catkins,” are smaller than female cones and are more herbaceous in appearance. They only live during spring or fall, depending on what pine tree species they belong to. In any given pine tree, there are more male cones than female cones. The male cone produces a yellow dust that develops into pollen grains. Once the male and female cones mature in springtime, the wind blows the catkins’ yellow dust to start the pollination process. When the pollen lands on the female cone’s sticky base, the pollen grains germinate, forming a cell that has two sets of chromosomes, called the zygote. The zygote eventually develops into the seed where an embryo develops. On the surface, female cones develop papery seeds found at the top of the scales. Germination occurs during summer, with the cones opening up to allow the mature seeds to fall off. These seeds have a prominent membrane, known as an “aril,” which functions as wings and allows them to be carried away by the wind. Once a seed lands in soil, it will start to develop roots and enter the “grass stage,” where it will eventually develop into a pine tree. Andrews, Natalie. "Stages of a Pine Cone." Sciencing, https://sciencing.com/stages-pine-cone-10012522.html. 24 April 2017.